One button setup--plug a device, download app. start to remote control this item. Please scan the QR Code above, or get Tuya Smart downloaded from App Store or Android Market. Then add the plug to the APP according to user manual. Money back guarantee and 6 months replacement warranty ensures customer satisfaction. If you encounter any questions, feel free to contact us! 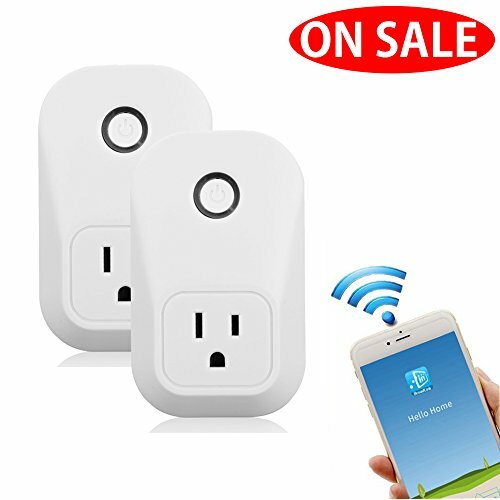 Remote on/off Control from Anywhere -- Plug in a mini smart plug, download the free app, control your lights and appliances from your smartphone or tablet. Only needs Wi-Fi. Hands-Free Voice Control with Alexa -- No Hub Required. Works with Amazon Alexa and Google Assistant for voice control. Support 2.4GHz Wi-Fi network, not support 5.0GHz. Schedule Automatically, Never Come Home To A Dark House -- Schedule the fan to turn on before you arrive. Sync lights and devices to sunrise, sunset, or pre-set times automatically. Easy To Set-up, with Buycitky 100% Customer Satisfaction Guarrantee -- If there is any question on Buycitky mini wifi smart plug, just contact us, we are always here to help you out. If you have any questions about this product by BuycitKy, contact us by completing and submitting the form below. If you are looking for a specif part number, please include it with your message.